Do you really believe that the word “sorry” can justify the legacy we will leave to future generations? Sorry that we haven’t taken enough responsibility for our actions. Sorry that we listened to those who only sought excuses but have done nothing. Sorry that we glorified destruction as progress. Sorry that we left you a robbed and destroyed planet. Sorry that we haven’t known that we lived in paradise until we turned it into hell. Sorry for thinking only about ourselves while forgetting about you. Sorry for having robbed you of the future. Please, forgive us. No, this must not happen. It’s also on you to do something. 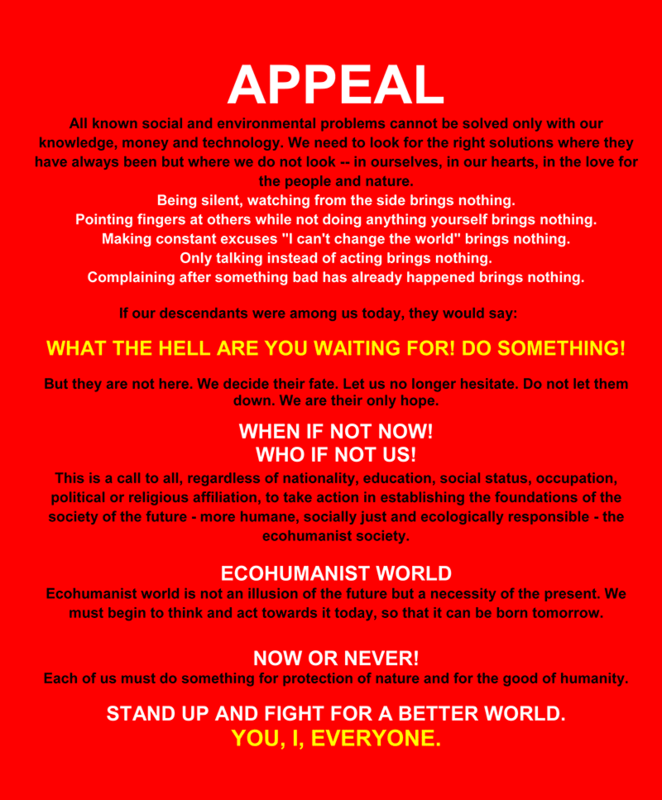 You need to make a decision: do you want to continue going the current path and only say sorry to future generations, or do you want to take courage and will to build a different world for yourself and for them? A world that we — and those who will come after us — will be proud of. Become part of a solution and not part of the problem. There exists an alternative to the world we know. 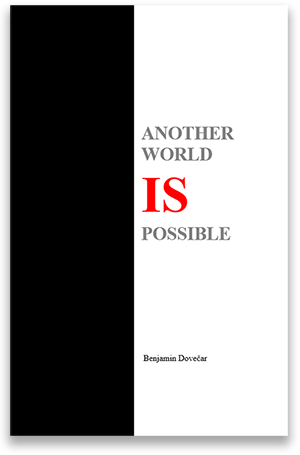 In the free-of-charge book I wrote, “Another World is Possible”, I reveal this alternative to you and present a world that is entirely different from the existing one, with a completely different social order. It’s a world that does not work for money in order to have more, but a world that works in order to become more and rise to a necessary higher level of civilization. A borderless world, united under one flag in a planetary community with a common vision for the good of all — for nature and for us. The world of the future that we must begin building now because the one we live in is running out of time. Let us step into the next century as proud winners and not as disappointed losers.